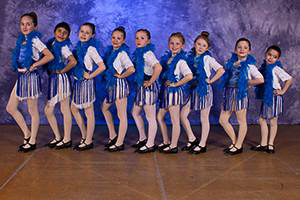 The emphasis of this class will be on left/right understanding, body coordination and basic ballet and tap movements. 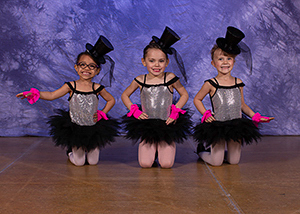 In the future students enrolled in this class may enroll in the Cecchetti program. 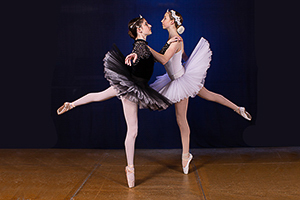 This class curriculum will be geared as preparation for a more intense Cecchetti program. Students will begin learning the basics of ballet, terminology, and theory of ballet movement. There will be heavy emphasis on proper posture and body alignment, feet and arm positions, and a basic understanding and love of classical music. Tap terminology, movement and progressive tumbling skills. This class curriculum continues to build on the skills and technique previously learned. Students study the Cecchetti syllabus, and continue to increase in their tap technique. The tap technique offers class levels that progress from Grades I - VIII, based on skill. This provides a strong foundation, and continually increases the students abilities. Students will be placed in classes which have the syllabus to accommodate their ability. Ages may vary. Jazz classes are offered in addition to the core curriculum. In addition to working with musical phrasing and beats, a strong technical base is needed. Offers additional training to students, to increase their dance skills. 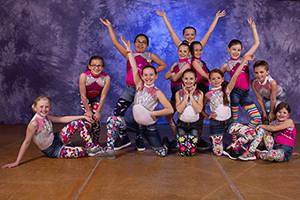 This class is based off of the Appalachian clogging style. 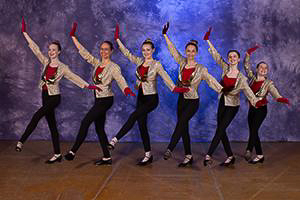 Clogging has tap basic steps, and utilizes specific clogging shoes with a double tap. Classes are offered for Middle school students and Adults. 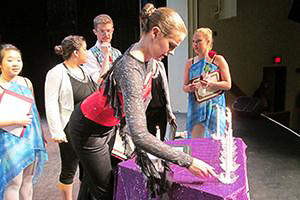 Cecchetti method offers class levels that progress from Grades I - VII and Diploma levels. Students will be expected to memorize terms, as well as “barre” and “centre” combinations from a syllabus book, which will need to be purchased at the start of the year. When the students are prepared, they will be presented before a professional examiner to administer a nationally certified exam. 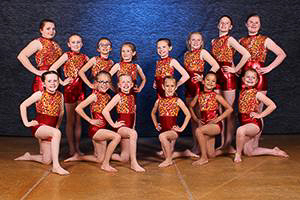 Depending upon the dancers natural ability, students can progress through a level anywhere between one and two years. It is important to note that the instructor will make the decision on when a dancer is prepared to take an exam. The Cecchetti Council has age limitations on their ballet exams. A student must be a minimum of age 10 and have been trained in the grade one syllabus in order to take their Grade One Exam. The Pre-Grade One Syllabus is separated into Primary One, Primary Two and Primary Three. Graded Syllabus One through Diploma starting at age 10 and over. Pointe work is available as part of the intermediate and advanced class curriculum. The student must have several years of proper ballet training, and will be notified by the ballet instructor when ready to start pointe. It is required that the students be enrolled in a minimum of two ballet classes per week to prevent injury. The two classes must be ballet, and not other dance forms. It is important to note that consuming Fire School of Dance will not place students on pointe before they are fully prepared. Our students must pass their grade one exam and be at least 12 years old before being considered for pointe shoes. This form of advanced ballet requires strength, technique and correct posture. National Honor Society - Dance Arts.